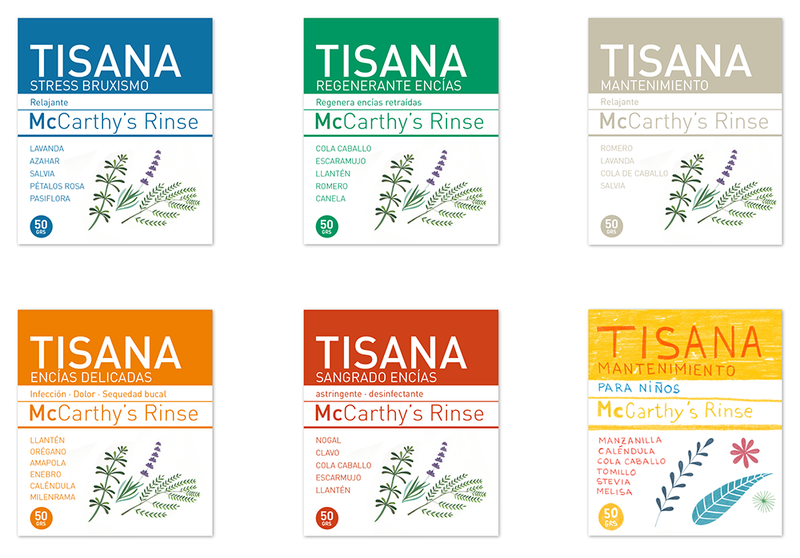 Design of labels for the “McCarthy’s Rinse” packaging. 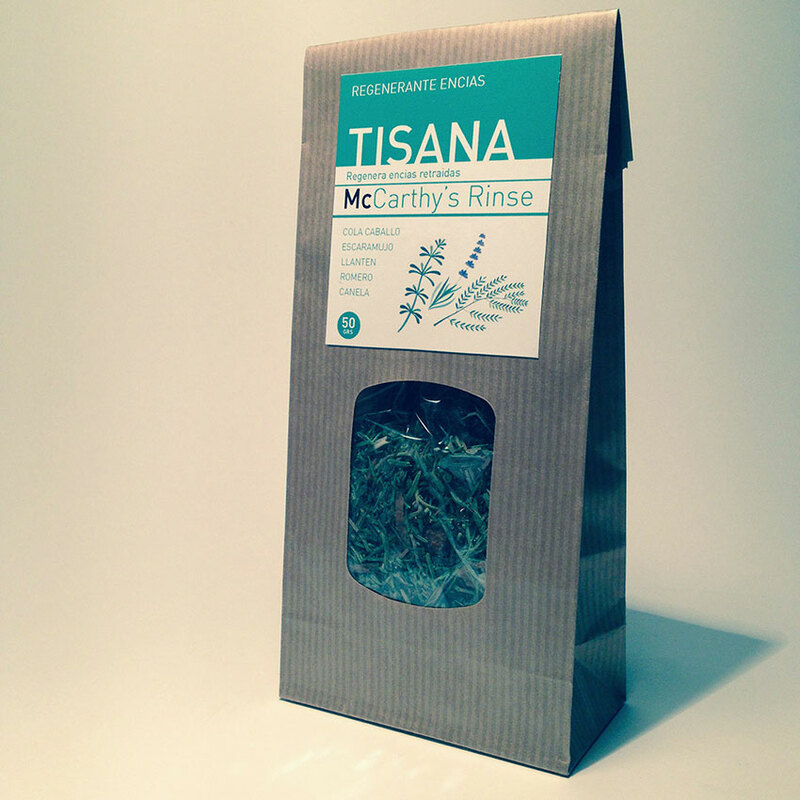 It is a line of teas for rinses elaborated according to the original formula of Elena McCarthy. The rinses have different properties depending on the problem of the gums of each patient.